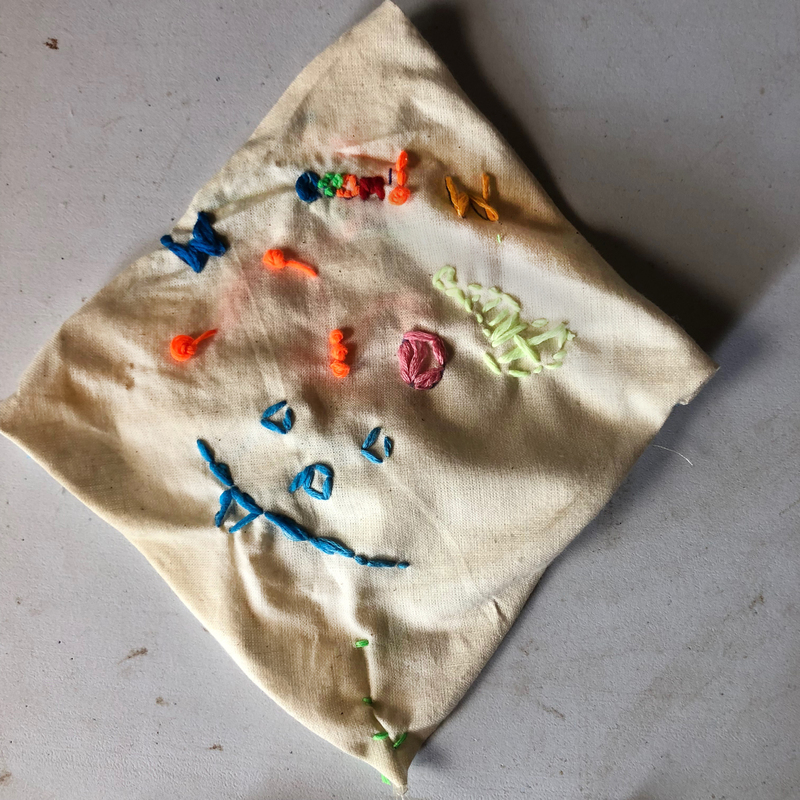 In addition to natural dyeing with flowers found on the Farm — pokeberries and echinacea (also called Rudbeckia), Tenn Apprentices learned embroidery for the first time. Here are some of their experimental stitches. Dream Big. August 2018. 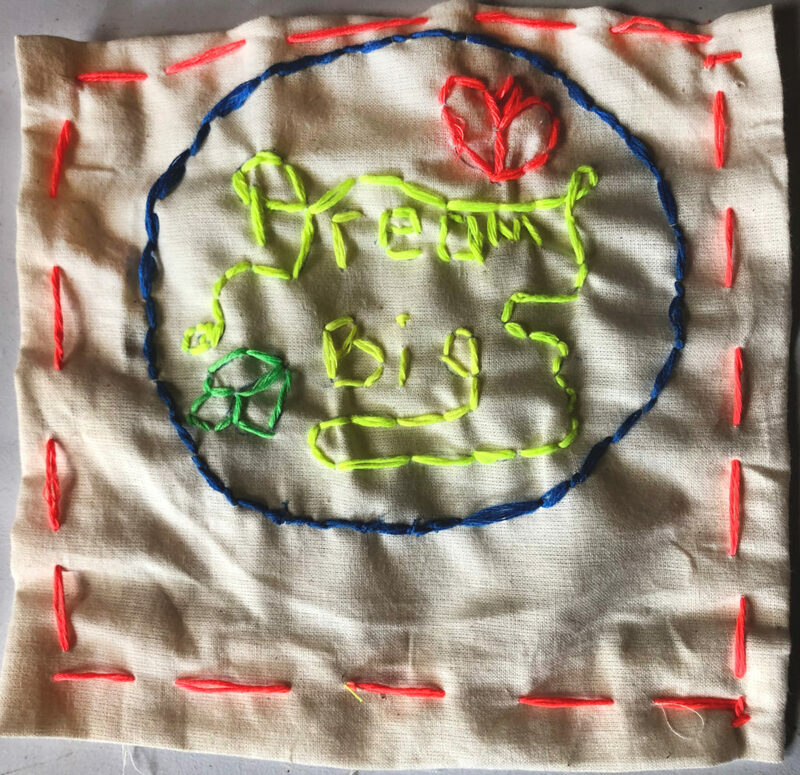 Embroidery on fabric — first embroidery! Teen Apprentices mostly work on the Farm and learn about food justice. In addition, Danielle Hilkin, Education and Outreach Manager, connects Teens with opportunities to learn from working artists. We accomplished a lot in the one morning we shared. In this creative approach to embroidery, first-time stitcher chose to treat his canvas as a diamond rather than a square or rectangle.